Game description: The Totally Authentic Pinball Experience - capturing all the sights and sounds of a real arcade. Play Eleven of the greatest Gottlieb Pinball Tables ever created, all featuring Real Pinball Table Mechanics, Graphics and Sounds. 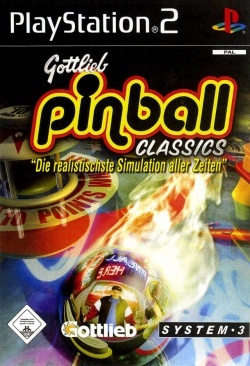 With six Different Camera Angles to play in, Multi-Player Tournaments with up to 4 players competing with each other, plus Hidden Extras like 'un-lockable' features and tables make Gottlieb Pinball Classics the most accurate simulation ever.